Shouting slogans, Telugu Desam Party activists demanded that the Centre immediately fulfill all promises made to Andhra Pradesh in the Reorganisation Act, 2014, and also accord special category status for the state. 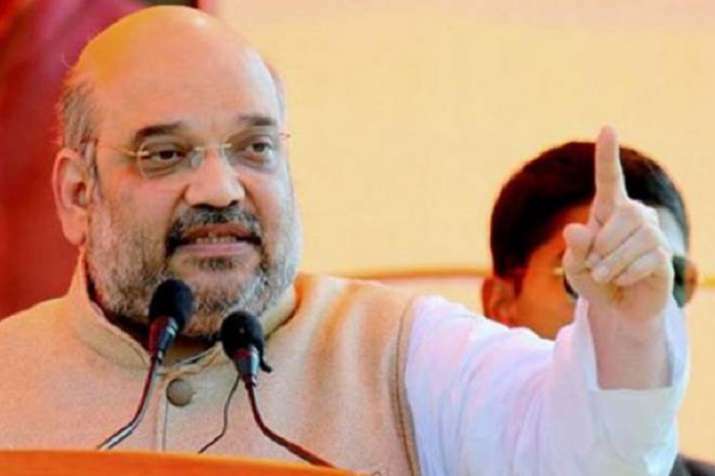 Tension prevailed at Alipiri in Tirupati on Friday when TDP workers staged a demonstration against BJP president Amit Shah as he was proceeding to Renigunta airport from Tirumala hills and in the melee a stone was allegedly hurled at one of the vehicles in his convoy. On learning about the incident, Chief Minister N Chandrababu Naidu, who was holding a meeting of party leaders here, criticised the workers and warned them that such acts of indiscipline would not be tolerated. Deputy Chief Minister (Home) N China Rajappa told reporters that some "unidentified miscreants" hurled a stone that hit one of the vehicles in Shah's convoy. "No stone hit Shah's vehicle. The stone hit another vehicle behind Shah's car. We don't know yet if some miscreants posing as TDP workers resorted to this act," he said. A TDP statement, quoting the chief minister, said he asked the party leaders to ensure that such incidents did not recur. "Don't bring disrepute to the party by such acts of indiscipline. Everybody should act in a disciplined manner. There is no place for clashes or tensions in our just struggle," Naidu said. Tirupati Urban Superintendent of Police Abhishek Mohanty told PTI that they were verifying all facts related to the incident. "BJP leaders have lodged a complaint with us over the attack. We have got only preliminary information and we are verifying all facts," he said. Shah offered prayers at the Lord Venkateswara shrine in Tirumala this morning. The BJP president had arrived in Tirupati on Friday night after wrapping up his over a month-long election campaign in Karnataka. The alleged stone-throwing incident happened when Shah was returning from Tirumala. The TDP had snapped its ties with the BJP alleging neglect of the southern state and failure of the Centre to grant special category state status for Andhra Pradesh. It has alleged that the Centre failed to fulfill its commitments toward Andhra Pradesh, after the state was bifurcated in 2014.